We are proud to be a family health organization with an emphasis on Rehabilitation and Walk-in Clinic patient services. Our state-of-the-art facility offers medical services in Ottawa that include family physician care, pediatrics, rehabilitation services, and lifestyle (non-surgical cosmetic) services to meet the diverse needs of all individuals. Our team of physicians offers a full range of medical services in Ottawa, including family care, pediatrics, rehabilitation, and cosmetics. Trainyards Medical Centre is proud to offer specialized services, including pediatric nephrology, psychotherapy, massage, and physiotherapy. We are also pleased to offer cosmetic Botox and fillers, as well as an Infusion Clinic. 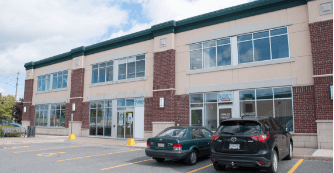 Trainyards Medical Centre strives to meet all of your medical needs in one easy location in Ottawa. We are pleased to offer a full walk-in clinic at Trainyards Medical Centre. 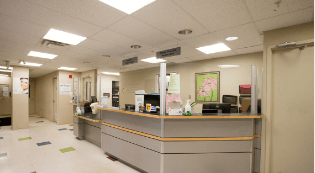 We provide walk-in clinic medical services in Ottawa without an appointment. Our walk-in clinic is open to everyone, including out of province residents. Trainyards Medical Centre is clean and modern with an attentive and friendly staff. Friday and Saturday: 9 a.m. to 3 p.m. The Walk-in Clinic may cease accepting patients earlier than scheduled hours, depending on the number of registered patients. Thank you for choosing Trainyards Medical Centre. As an existing patient, your medical services will not be affected by the change in ownership. Welcome New Pediatric and Walk-in Patients! Trainyards Medical Centre is currently accepting new General Pediatric and Walk-in patients! We welcome all applicants. All of our Family Physicians currently have a full patient schedule. If you are a potential patient with a valid Ontario Health Card (OHIP), and you would like to be placed on a waiting list, please contact us. To find a Family Physician, please use the Ontario Health Care Connect service.